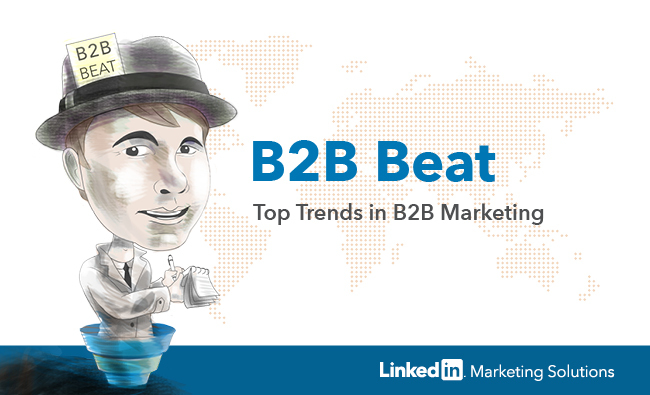 Welcome to B2B Beat, a new weekly series in which our resident B2B expert, Sean Callahan takes a close look at the most important trends and issues facing B2B marketers today. 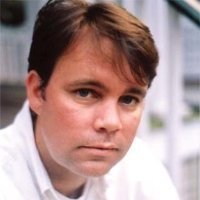 A little bit about Sean, Senior Content Marketing Manager at LinkedIn (in his own words): I’ve spent most of my career in the B2B world, working for B2B advertising agencies beginning in the 1980s and as a reporter for BtoB magazine starting in 1998. I joined B2B ad technology company Bizo in 2012, and, after Bizo’s acquisition by LinkedIn last year, I was thrilled to become a part of the LinkedIn Marketing Solutions content team. For our first B2B Beat story, we’re examining some trends in B2B publishing, an industry that has struggled in the past decade. Three waves of value destruction have battered the business publication business model, which had rarely faced competition. The first wave of value destruction was Internet advertising. The second wave was search. And now the third wave is social media and content marketing. All three of these digital marketing avenues pose competitive threats to trade publication in reaching business audiences. B2B marketers can learn some valuable lessons by seeing how B2B publishing companies have adjusted to these threats. B2B publishers are embracing different kinds of content — events, print, digital, video. They’re also returning to their roots of using content to build databases, two skills critically important to B2B marketers these days. Since about 2005, B2B print pages have been in a steady and sometimes precipitous decline, according to American Business Media data. Last year was no exception. Preliminary estimates from ABM indicate that spending on print ad pages declined about 3 percent between 2013 and 2014. On the other hand, overall spending on B2B marketing – which includes print plus events, digital, and data – increased about 3 percent last year. By moving beyond print and embracing their heritage as content creators and database purveyors, B2B media companies have discovered new ways to thrive. “We’re seeing a lot of publishers moving into marketing services,” said Reed Phillips, Co-Founder of media investment bank, DeSilva & Phillips. “That’s a logical extension of their business.” Several moves by a cross-section of B2B media companies offer a window into the various ways these B2B publishing companies are reinventing themselves – and how closely they are beginning to resemble B2B marketers. Last month, Arrow Electronics, an electronics distributor, announced it had acquired United Technical Publishing from Hearst Business Media. For Arrow, the move expanded its content marketing capabilities. Matt Anderson, Chief Digital Officer at Arrow, said the deal will boost his company’s ability to provide the content its customers crave. “We are providing the global electronics components community a comprehensive set of offerings to meet their strategic information needs,” he said. PMMI is a packaging industry association, which produces the Pack Expo trade shows. PMMI acquired Summit Media Group, which publishes Packaging World magazine, last year. In February, the association announced the launch of PMMI Media Group, which integrated Summit’s editorial content with PMMI. “Having content 365 days a year was one of our key goals,” Katie Bergmann, Senior VP at PMMI, said of PMMI’s intention when acquiring Summit. She said the association had considered building its own editorial team, but eventually viewed acquiring Summit as the better option. This deal was ultimately about expanding PMMI’s engagement with both its trade show attendees and its exhibitors beyond the few days a year when the event is in full swing. Two years ago, CFE Media, which publishes Plant Engineering and other titles, launched a software called ContentStream. The software enables marketers to pluck articles from CFE Media’s archives to use on their own websites to provide content valuable for engineers. For Steve Rourke, Co-founder of CFE Media, the success of the software shows that the goals of B2B marketers and the business press are so closely aligned. “We’ve always been great at creating content and building databases,” Rourke said. Content and databases: these are two critical areas where B2B publishers and B2B marketers must excel. B2B marketers should consider looking closely at the publishers in their industry to discover the lessons to be learned in content creation and database building. Meagen Eisenberg was recently named CMO of MongoDB, a next-generation database. A high-profile marketing executive, especially in demand generation circles, Eisenberg was previously VP-customer acquisition and marketing at DocuSign. In this Forbes column, “Thought Leadership Speakers You Don’t Want to Miss in 2015,” Influencer & Co. CEO John Hall lists his top thought leaders on, well, thought leadership. This list is a starter kit for marketers who are looking for a group of virtual mentors to boost their own company’s thought leadership efforts.